San Francisco's famed Chicken John Rinaldi couldn't sell his roost so he changed his feathers. 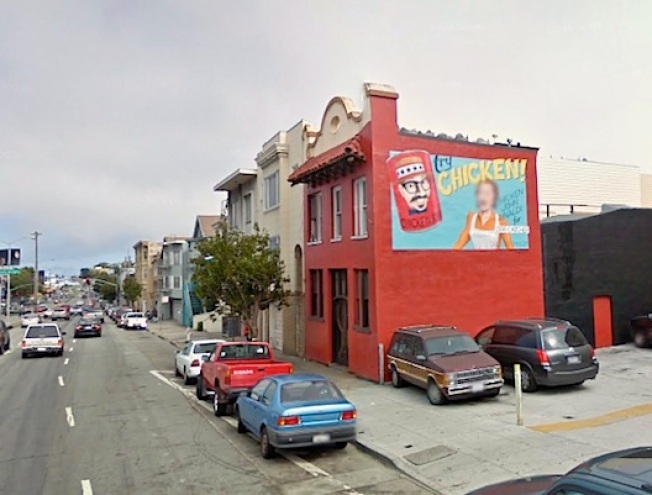 The notorious warehouse on the Mission/Bernal Heights border went on the market with the unmistakeable "Chicken John Rinaldi for Mayor Supervisor Dog Catcher" mural on its red side. But gone is not only the MLS listing for the building but also the mural. But don't fret art lovers, in the old mural's place is a new one that reads ""Fail to Win!"